Lost for Words by Stephanie Butland: I have just finished reading this book and I couldn't not include it here. It really is a book lover's dream, with endless references to all our favorite books, charming and really interesting characters and the perfect setting, a bookshop full of rarities, surprises and secrets. The Last Piece of My Heart by Paige Toon: when I first discovered Paige Toon a few years ago, I was completely captivated by her love stories and she soon became one of my favorite authors. 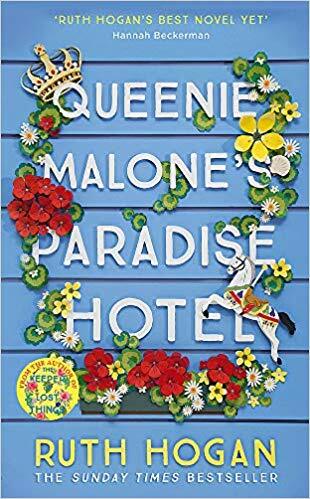 But in her last few books she has reached a new level, her stories are always something special, full of heart, with incredible settings and complex characters that feel absolutely real. And The Last Piece of My Heart is the perfect example of this. 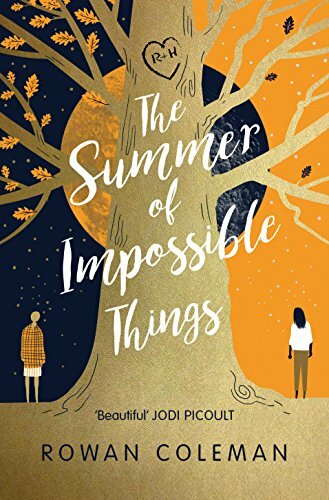 The Summer of Impossible Things by Rowan Coleman: what a well crafted and magical story this is. It left me completely in awe, as it's like nothing I had read before. Rowan Coleman makes you believe that the impossible is possible and takes you in a journey like no other. Then. Now. Always. by Isabelle Broom: Isabelle Broom is quickly becoming one of my favorite authors. 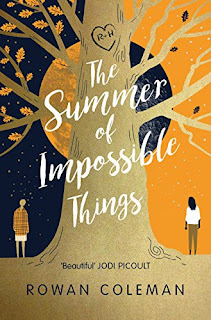 This is a truly special and magical story that will bring lots of sunshine to your life, with a stunning setting, really interesting characters and lots of surprises in store for them and us. The Escape by CL Taylor: This is C. L. Taylor's latest clever and absorbing psychological thriller. For me, she is one of the best authors in this genre and she did not disappoint at all with The Escape. It made me scared, it surprised me, it completely captured me. My Not So Perfect Life by Sophie Kinsella: My Not So Perfect Life is such a fun, warm and entertaining read with everything I love in a story, relatable and lovable characters, a bit of love and lots of laughs. 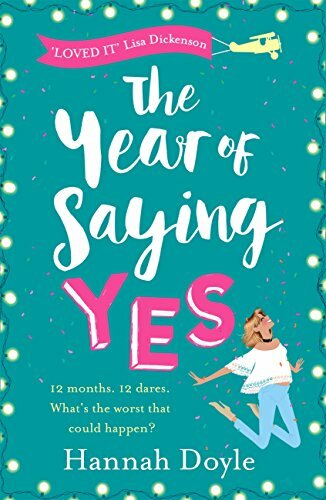 It has the same fresh and fun touch that Sophie Kinsella has us accustomed to but it also a heart-lifting and inspiring story about believing in yourself and fighting for what you deserve. 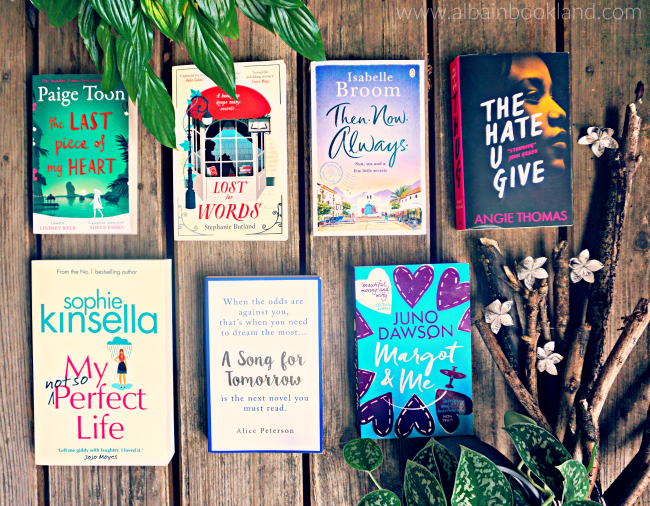 The Hate you Give by Angie Thomas: what a book, what a story, what a main character! Unbelievably good and definitely a firm contender to book of the year, if not the decade. A fantastic book with a well-thought plot and with complex and engaging characters that handles an important and current topic. The Year of Saying Yes by Hannah Doyle: this serialized enovel was such a great surprise. It's a story that will put a smile in your face (more than once) and will inspire you to be bolder, stronger and more confident. With a really fresh and fun style, I felt like I really connected with it. Margot & Me by Juno Dawson: a story about coming out of age in two very different times but that reminds us about all the good and important things in life. A beautiful novel that will move many hearts. The Song of Tomorrow by Alice Peterson: since discovering Alice Peterson a few years ago, I've fallen in love with every single book she has written. Her stories always make me cry but somehow, she always manages to make feel better about life. And A Song for Tomorrow is no different in this sense, an unforgettable heart-breaking and uplifting story. But it's also so much more. I'd might even say that A Song for Tomorrow is Alice Peterson at her best.